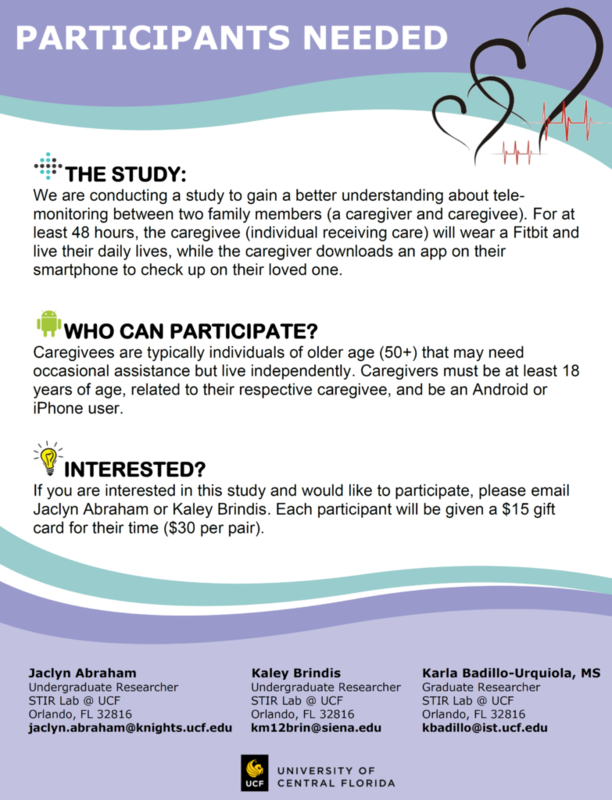 We are conducting a study to gain a better understanding about tele-monitoring between two family members (a caregiver and caregivee). For at least 48 hours, the caregivee (individual receiving care) will wear a Fitbit and live their daily lives, while the caregiver downloads an app on their smartphone to check up on their loved one. 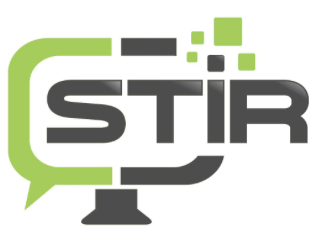 Each participant will be given a $15 gift card for their time ($30 per pair). Caregivees are typically individuals of older age (50+) that may need occasional assistance but live independently. 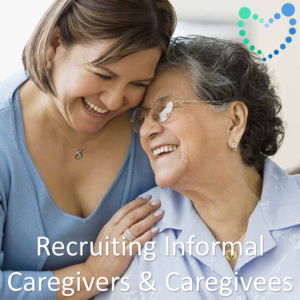 Caregivers must be at least 18 years of age, related to their respective caregivee, and be an Android or iPhone user. If you have any questions about this study, please contact Karla at kbadillo@ist.ucf.edu.